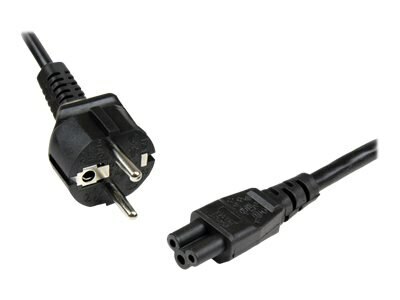 The PXTNB3SEU1M 1m Laptop Power Cord features one Schuko CEE7 European power plug and one 3-prong C5 connector, making it a suitable replacement cable for an HP, Toshiba or other compatible laptop equipped with a cloverleaf/C5 power connection. Rated to carry 250V at 2.5A. Fully molded strain relief connectors.